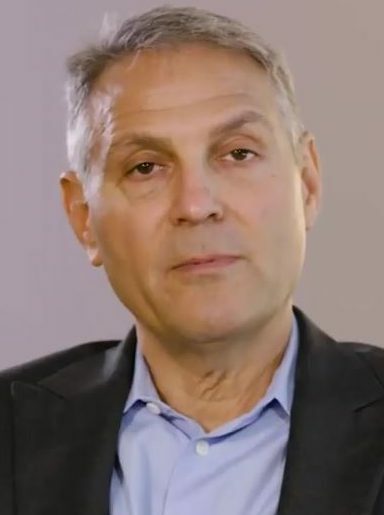 Ari Emanuel is among the most powerful figures in Hollywood. Julianna Riley is a 14-year-old high school student in the San Fernando Valley of Los Angeles. The two sat down recently and had plenty to talk about. What could they possibly have in common? Emanuel, the co-CEO of the William Morris Endeavor agency — which has represented the likes of Ben Affleck, Charlize Theron, Amy Adams, Denzel Washington, Emma Stone, Mahershala Ali, and Martin Scorsese, among many, many others — also was the basis for the character of Ari Gold in the HBO series Entourage. And he is dyslexic. Julianna, an aspiring actress, has ADD. The two discussed their strategies to cope with their learning differences and how they shape who they are. Julianna tells 2e News that she didn’t even know until a few days prior to filming the Learning Disabilities and ADHD Awareness Month campaign video that she would be speaking with Emanuel. Julianna is a ninth-grader at Bridges Academy*, a school in Studio City, Ca., that exclusively serves and educates twice-exceptional students. The following video was created as part of a Learning Disabilities and ADHD Awareness Month campaign. The idea that “it gets better” has stuck with Julianna, as Emanuel’s success in the face of his challenges is a source of inspiration. Emanuel, who also has ADHD, asserts that he has turned his learning differences into an advantage in that he was able to develop other skill sets. “I believe that people who struggle with dyslexia are given the insight to find inventive solutions in life and business that others probably never find,” he told the Yale Center for Dyslexia and Creativity. The super agent and high school student chatted for roughly half an hour, though the video segment runs around three minutes. Still, the response — other than commenters on Facebook suggesting she was overplaying her leg shaking (“I was just really nervous!”) — has been overwhelmingly positive. “People really love it — especially at Bridges,” Julianna says. “We’re really close here, so it’s really cool to see someone who’s like a sister going up and [talking] about something that we all suffer from. People are really loving it, which makes me happy because it felt good filming it. *Bridges Academy is part of the Bridges Education Group, which also includes Bridges 2e Media, the publisher of 2eNews.com. The author of this article is employed by Bridges Academy and Bridges 2e Media.